San Francisco native Eric Luttrell has already had quite the 2019, beginning his North American headline tour and releasing his mesmerizing debut solo album “Into Clouds”. A previous member of *The M Machine*, Luttrell carves out a unique sound, filled with beautiful melodies and transcendent vocals in his new release. I had a chance to sit down with Luttrell and got his insight into the new album, transitioning from The M Machine to his solo act, and his journey as part of Anjunadeep. You’re fresh off the release of your debut album “Into Clouds.” Congrats! How does it feel to put that out there? Thank you – it feels awesome. I’ve been working on it for like a year and a half. Working on an album, having a deadline – it’s such a stressful situation. So it’s nice to finally have it done, and not only finished, but actually out in the world where people are listening to it and enjoying it. The response has been overwhelmingly really good. So yeah I couldn’t be happier! And this tour has just been amazing. It’s super super fun and getting to play all the songs from the album out and see how people respond to it and that’s been really cool. All good things! Yes, that’s awesome. I think the album is really sort of like a journey that has its highs and lows. Can you talk a little bit about your inspiration/creative process around it? Well I mean it’s an album that’s about the last couple years of my life basically and there has been some highs and lows in some ways. It’s about going off and doing my own thing because this is my first solo project ever. I’ve always been working with people, as in with The M Machine for around seven years. So to just split ways – and not in a negative way at all. We’re still great friends – but just to really focus on our own things and. So yeah just like lots big changes happening and lots of new opportunities at the same time. So there’s some bittersweet and some just fantastically awesome things that are going on. So I think that’s reflected in the album in a way – there are tracks about loss or regret but then also tracks that are really happy and beautiful. So how was that transition going from you know a trio dynamic with The M Machine to your solo act? I mean it never felt wrong. It always felt like the natural progression. We started working together since 2008 and didn’t start The M Machine until around 2011, late 2010 maybe. So when you work with people for that long, they basically became my brothers, and still are my best friends for sure. We each individually had a lot to offer and I think we never got to explore what we can do by ourselves. So we’re all doing different artistic projects now – it just seemed like the right time for all of us to try our own thing. Right. So how would you say that your individual sound differs from your sound together? Well, you could sort of always hear the songs that I had the most influence on in The M Machine. Or the tracks that I started in The M Machine because they definitely have some of the same like trademark “Luttrell” kind of sounds – like pretty bells, chord progressions that are a bit more emotional. So it’s not that different, it’s just more of an extreme version of that flavor since it’s just me. And it’s more a reflection of who I am right now as a producer and what I’m interested now as a producer, as opposed to what I was making seven years ago. So it’s more melodic, deep but same general flavors. I can definitely see how your style comes through in the different projects. So you mentioned that it’s your first time headlining your solo tour. How has that experience been for you so far? So after tomorrow in Tempe, Arizona it will be halfway through the tour, which is really sad because I’m having the most fun! I’ve never gotten to do my own solo tour before. And these shows are just going really, really well. I’m getting a great response from fans and I’m doing these meet and greets at every single show. Right – I heard about the Headquarters Beercade meetup tonight! Yeah, so we’re doing one tonight. They’ve just been really fun. We usually have between 10 and 25 people show up depending on the city. Everybody’s really chill and we can play games – I think it’s just a way more casual a way to do a meet and greet as opposed to sitting in a green room and having people waiting in line to take a picture. The way that I want to meet people is in a setting like a Beercade where everyone’s just having fun anyways. There’s no pressure. you feel weird you can just like go play Skiball or whatever else – it’s way more casual and more relaxed. I completely agree – love that you’re doing these meet and greets. 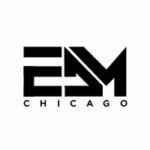 Have you played in Chicago before? I’ve played in Chicago many times over the past decade that I’ve been doing music. As Luttrell I’ve played here at least three times – with Above and Beyond at Navy Pier. Then I played the Mid for an after party. as well as with Jody Wisternoff at Soundbar. Always a really good vibe – excited about tonight. And you’ve also played some really awesome venues like The Gorge, Printworks in London, more recently. How has it been playing such iconic venues? Definitely sort of a mindfuck. You have to be in the moment, but also you’re really concentrating on trying not to screw up the mix. Like at The Gorge, I was so nervous, practicing my set beforehand. Finally got up there and there’s cameras all around and then literally 15 to 20 thousand people just you are staring at you and having a great time dancing. I don’t think. I’ll ever get used to that feeling because I don’t do that very often but, I think it’s a great feeling to be on a stage where so many legendary artists have played. So what’s been on your playlist and what have you been listening to? I’ve been listening to a lot of Lauer lately. He’s got a new record out recently. He has sort of analog, retro-sounding techno with a modern take on an 80s vibe. I always like KINK, too. Also an artist named CIOZ out of Berlin. Definitely more on the techno edge, but it’s got it’s own flavor – not too hard, more analog sounding too. So it seems like you have a lot of techno influence! Can we expect to see you at Movement sometime soon? I would love to – but I don’t really do that much techno. If I have a long DJ set or something I’ll definitely drop some heavier techno majors into my sets just for fun to break up some of the more emotional stuff. But I’ve never really written techno music or anything like that – it’s more something are just something that I’m drawn to. Maybe someday! I know you’re in the middle of the tour and fresh off the album release, but is there anything in the future projects that we can expect to be excited about? I mean there is definitely some remixes from the new album from other artists that I like. I can’t say from who yet but really excited about that. I’m also working on some remixes for other people. I’m just going to start writing the next thing. So whether that’s like a new EP or brand new album, I don’t know but, definitely don’t want to slow down!